Nothing says Christmas crafts like glitter! 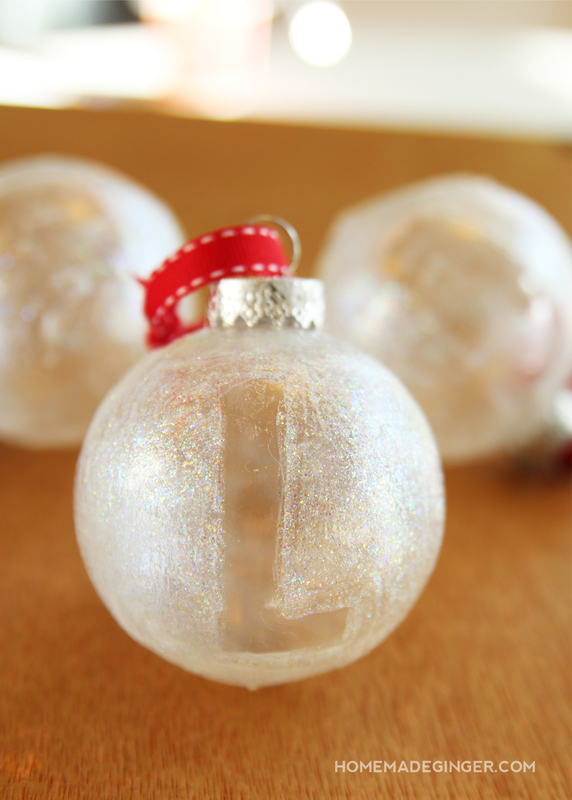 These monogrammed Christmas ornaments are the perfect NO MESS glitter holiday project. Nothing says Christmas crafts like glitter! Am I right?? 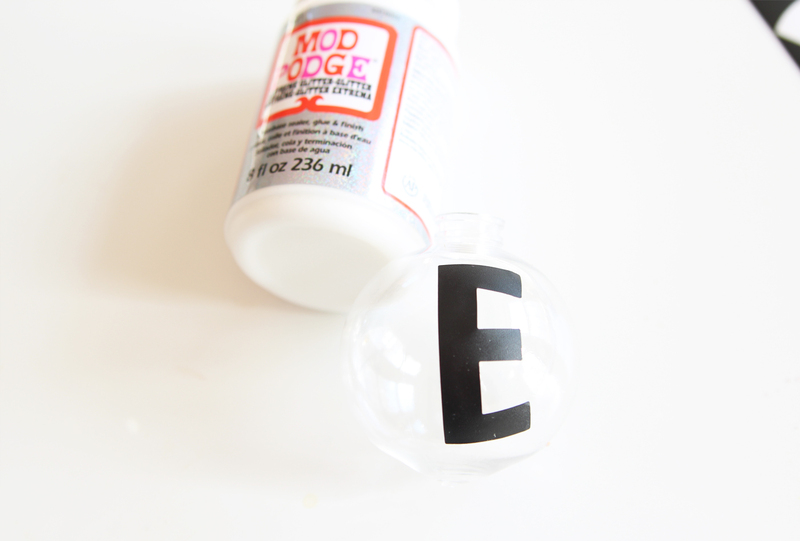 These monogrammed Christmas ornaments were my first time experimenting with Mod Podge Extreme Glitter and I loved it because unlike most glitter crafts, it was clean! We all have experienced the mess when a glitter craft gets a little out of control and you are finding it in your hair for weeks to come. Well the glitter in this project is very self contained and I have yet to find any in my hair which is saying something. I love using vinyl letters for projects, such as my string art canvas and this one is no different. 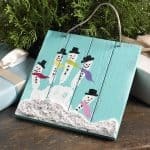 They are easy to remove and usually the perfect size for crafts just like this one. 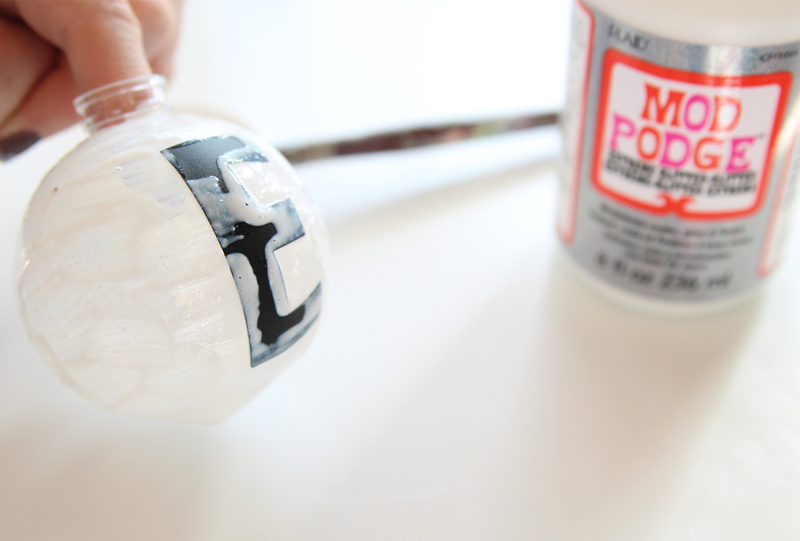 The first thing you will want to do is place a vinyl letter on the plastic ornament. I found 2 for $1, so this project ends up being super cheap! I'm sure you could use glass as well if you prefer. 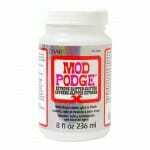 Next, you will carefully paint the Mod Podge Extreme Glitter around the letter, covering the entire ornament. 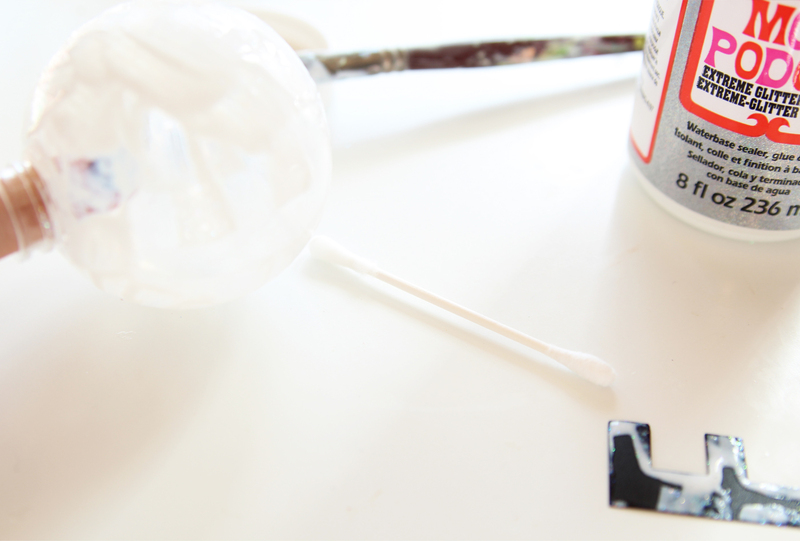 Immediately peel off the letter and touch up the inside of the letter with a wet q-tip if any Mod Podge happened to seep through. 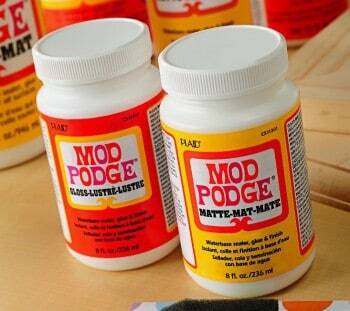 Allow to dry and add more layers of Mod Podge for a more dramatic glittery look. 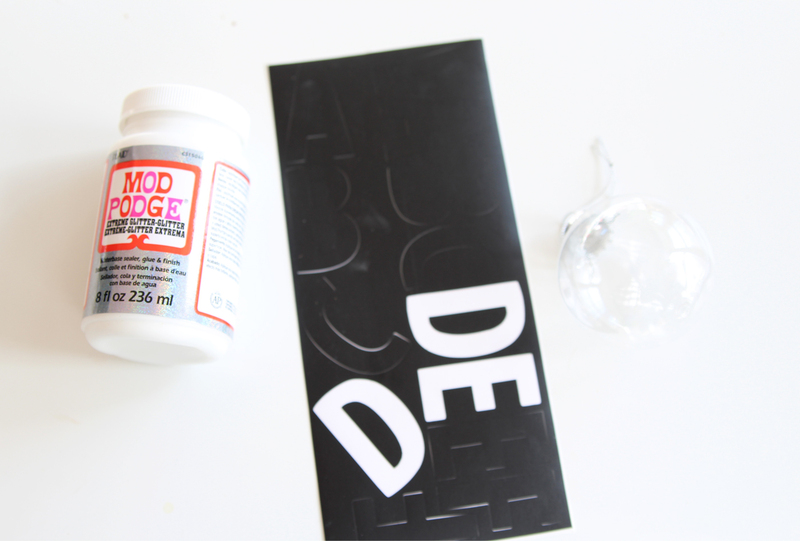 I ended up doing 3 layers of the Mod Podge because I wanted mine really sparkly. 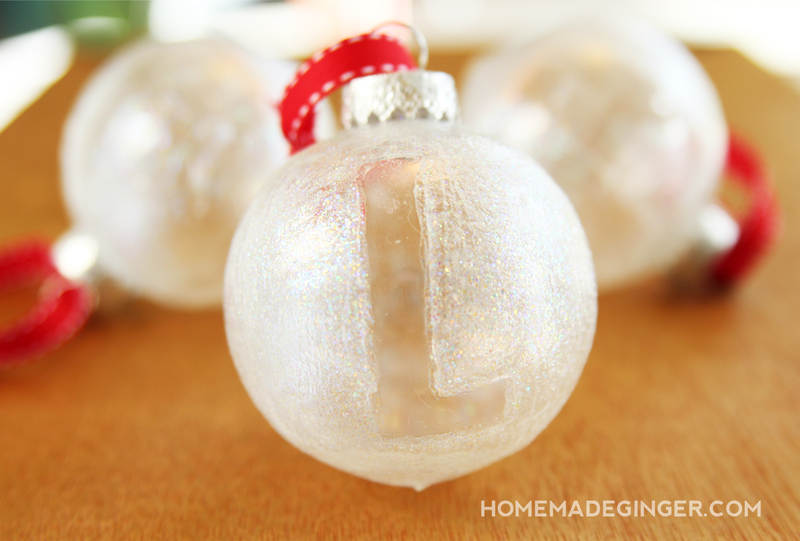 I love how subtle and pretty these monogrammed Christmas ornaments ended up being. And they look so beautiful against the lights on the Christmas tree. You've gotta try this one for yourself! You can also check out my copper leaf ornament tutorial for another easy way to dress up clear plastic ornaments. 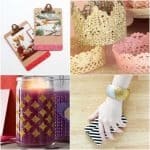 And be sure to hop over to my blog, Homemade Ginger for more Christmas craftiness!